It's been a long time since I introduced myself here on my blog. And with the launch of my new book, The Brand Photography Playbook, and my freebie, The Brand Photography Look Book, I am excited to welcome new readers and viewers into my community. In case we haven't met, my name is Mallika Malhotra and I am a brand photographer and strategist here at MikiFoto + Co. I inspire women in business to find their story, own it like a boss and share their message with confidence through storytelling, photography and branding. My passion is to empower my clients to show up, stand out and become incomparable leaders in their industry. But it wasn’t too long ago when I felt frustrated in my own business. I was not booking clients or attracting the people I wanted to work with. I didn’t have a strong passion for my work because it felt like everyone else’s. I was playing it safe with my messaging, copying what others were doing and even hiding behind my logo and website. I felt invisible and boring. I felt like an imposter. I was afraid to put myself out there and never felt confident in my work. As a result, I didn’t feel like the leader that I was meant to be. After a few years in business, I got tired of feeling lost. I was sick of feeling like a me-too brand, a commodity and like everyone else. I had this itch to finally be myself. I knew deep inside that I had so much more to offer. So I took the leap and started sharing my story - why I started, what I believed in, who I helped, what my process was like. I invested in my own brand photography and updated my website and profile pics with images that felt like me. I stopped hiding and sprinkled my personality into all of my work. I stopped obsessing about what everyone else was doing and started focusing on my own work, my own path and my own goals. I worked with a branding coach and got clear on my message, my skills and my mission. I started to infuse my story into my message. I put my face to my business in photos, in video, on social media and at networking events. I connected in person and online with my clients and my tribe. I set goals for my business and started dreaming bigger for myself. I was finally feeling more confident in my work and building more meaningful connections with others. It was a game-changer! Today I have a passion to help women discover what makes them stand out so they can finally create powerful connections and inspire others too. I want you to reach a place of brand confidence much sooner than I did. 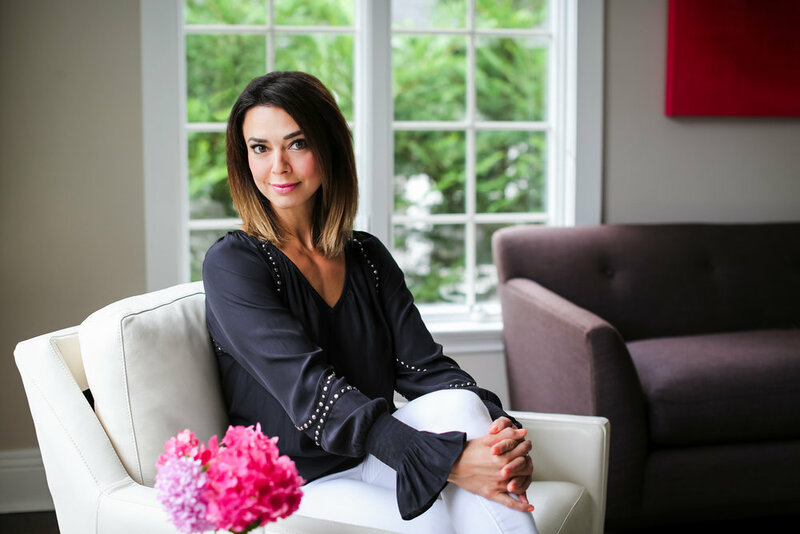 Through my own experience and evolution, I can help fellow women entrepreneurs tap into their point of difference and create visual stories that move you from invisible to impact, lost to leader and bland to brand. I know with encouragement and confidence, you can create an incomparable and unforgettable business that will serve and inspire others. Your story is too good not to share, so let’s start sharing! Purchase The Brand Photography Playbook: The Insider's Guide to Planning Your Photo Shoot and Building a Stand-Out Brand. And I always welcome you to contact me by email (mallika@mikifoto.com) or on Instagram @mikifotoco.